We’ve known for some time now that the US military has been experimenting with lasers as a weapon on the battlefield. Such devices could be used to blast drones out of the sky but lately, defense contractor Lockheed Martin has turned their attention to the sea. The company recently tested a prototype laser system called the Area Defense Anti-Munitions (ADAM) in the waters off the California coast. The system relies primarily on infrared sensors to track vessels from a distance even as the target maneuvers about the water and hides behind waves. From here, an operator can select precisely where they want the laser to strike the boat. 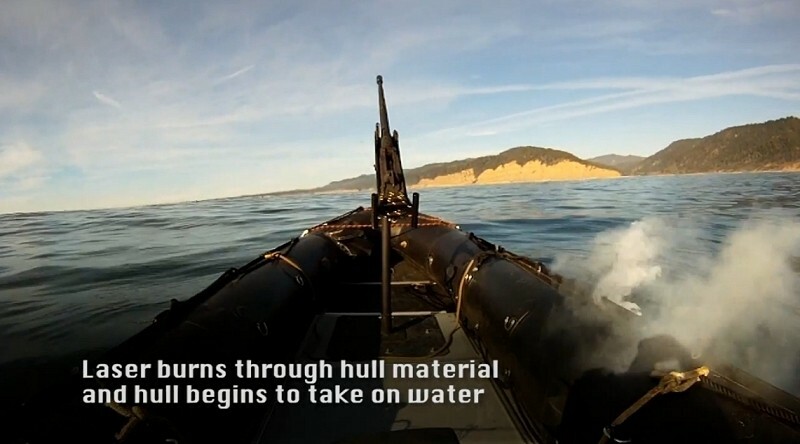 Once engaged and fired upon, the laser begins to burn through the hull material at which time the boat starts to take on water. As you can see in the clip above, the system was able to successfully disable a boat at a range of approximately 1 mile. The entire process takes around 30 seconds to inflict full damage which may sound rather slow but then again, speed isn’t the focus here. The system is being marketed as an affordable line of defense against short-range threats. True enough, it’d be much cheaper to simply power the 10-kilowatt laser versus firing off missiles or cannon rounds. This’ll likely be a boon to smaller navies that don’t have a ton of money to spend fighting off pirates at sea.